You like it hot? 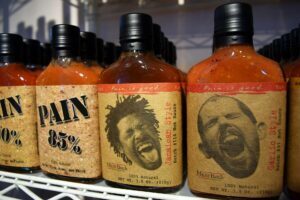 We got some brands that will definitely bring a little heat to your head: Blair's, Cajohn's, Catch-a-Fire, Pain-is-Good, just to name a few! 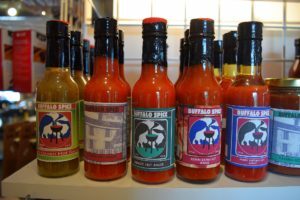 We also make some in-house sauces for that hometown taste. Not sure what flavor or heat level you are looking for?--remember, we sample!